Nyadosh the cow has a fierce gleam in her eyes and a furious appetite. She chomps on textbooks, feasts on frocks and devours anything blue in colour. 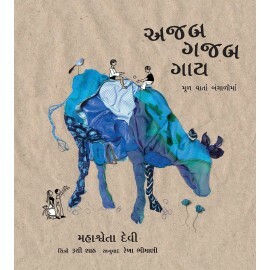 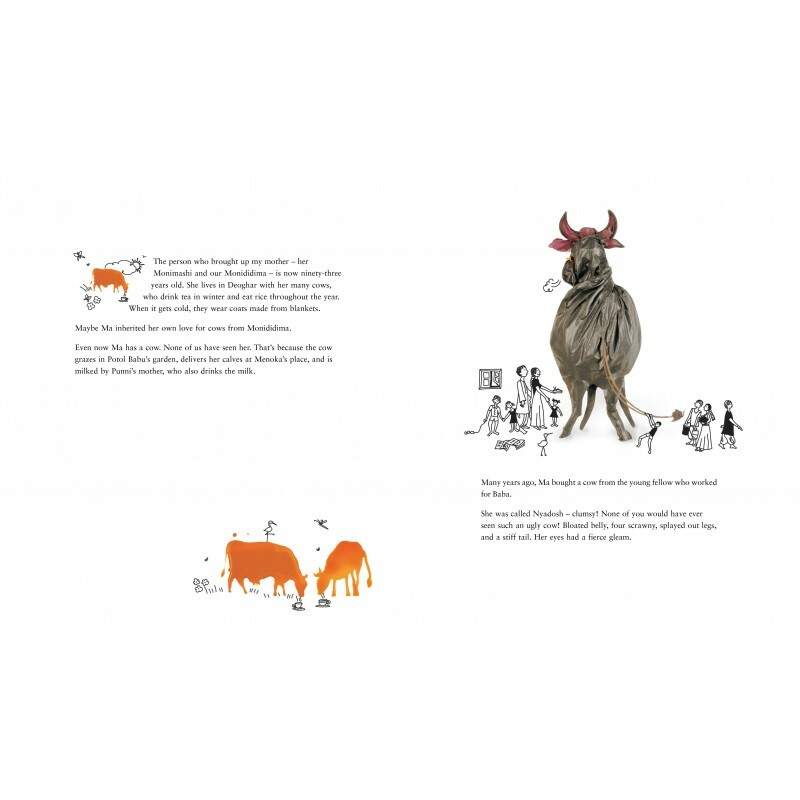 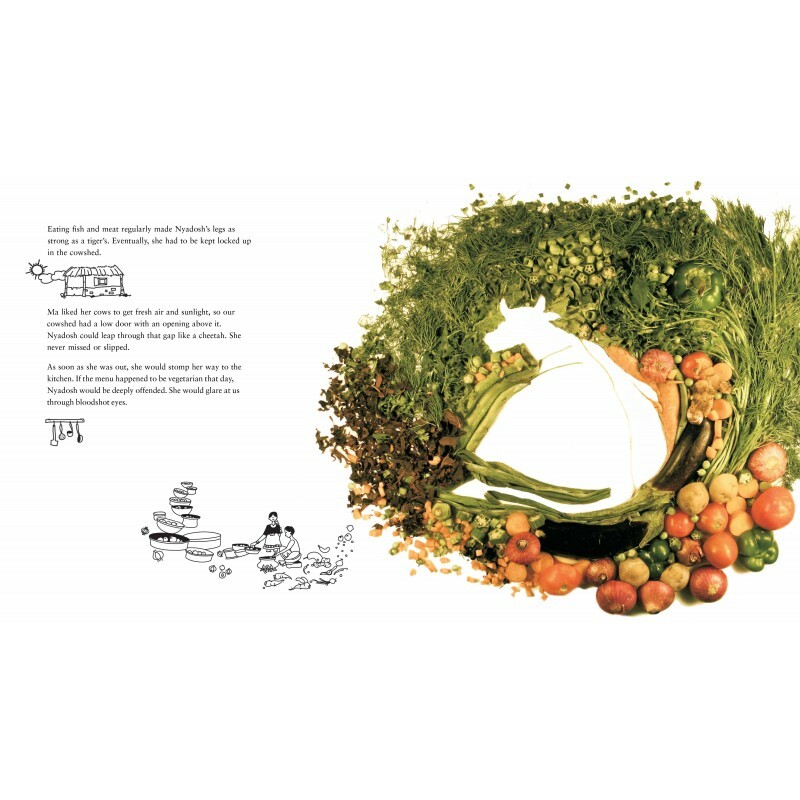 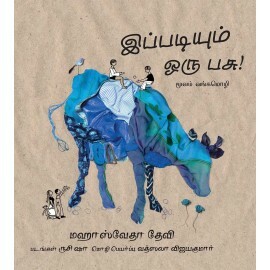 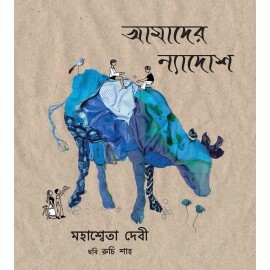 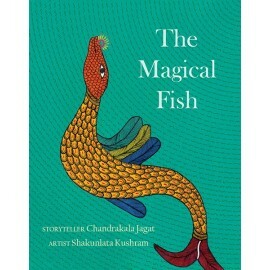 But once this incredible cow gets onto the ilish fish trail, there's just no stopping her… The first book in the Illustrated Classics series featuring adaptations of stories by well known writers from across the country, this comical story of a common cow with uncommon taste is a tale to relish. 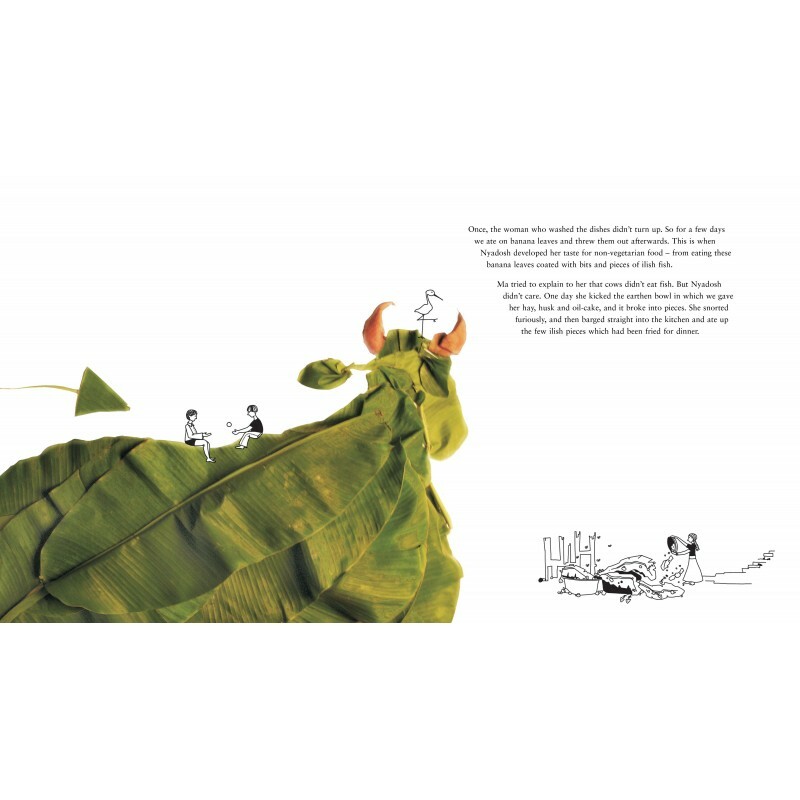 Nyadosh's extraordinary appetite unfolds through vivid photo collages, offset by light black-and-white doodles. 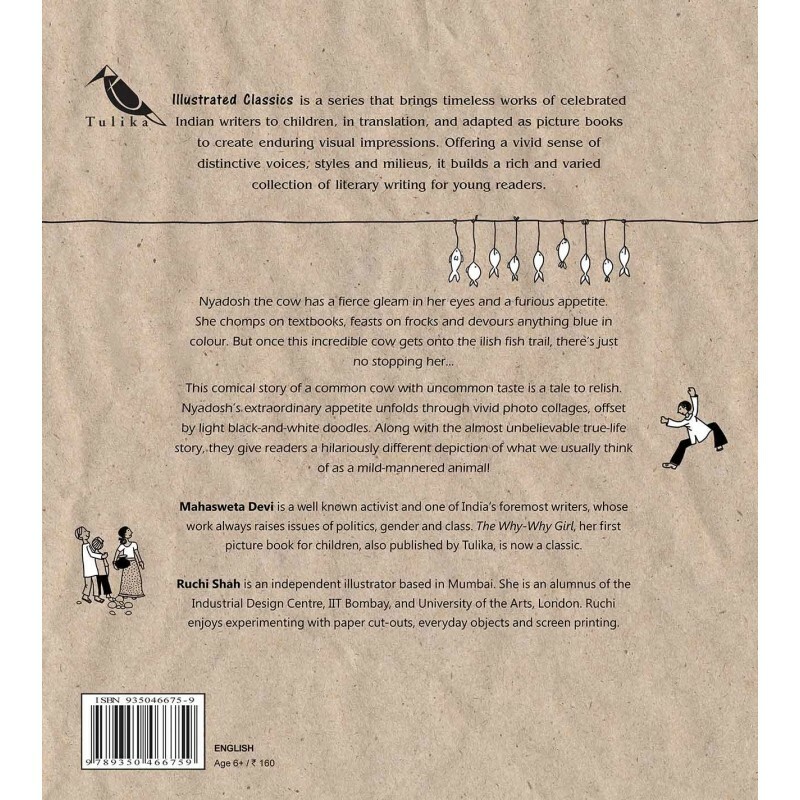 Along with the almost unbelievable true-life story, they give readers a hilariously different depiction of what we usually think of as a mild-mannered animal!